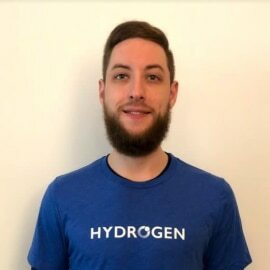 Shane Hampton is Head of Financial Engineering at the innovative fintech company Hydrogen, and is a founding member and lead on the Hydro blockchain project. He was an early advocate of the cryptocurrency movement and is interested in real-world use cases for blockchain tech and smart contracts. In his spare time, Shane enjoys watching movies and had a critique of No Country For Old Men published in the popular online magazine The Artifice.